Posted on April 23, 2018, at 4:58 p.m.
On Friday, the Australian Capital Territory Civil and Administrative Tribunal (ACAT) found in Bottrill’s favour, saying Bailey had defamed him, and ordering her to apologise, take down the post, and pay $18,880. The website for Ordo Templi Orientis in Australia. The video was posted on Bailey’s Facebook page under the name “Kat A Klayton” – an online alias she has used in the past to rail against the the LGBTIQ anti-bullying program the Safe Schools Coalition. Bailey also goes by the alias “Anirtak 76” (her first name backwards). But Bailey did not create the video she now has to pay $18,880 for posting on Facebook, nor did she write the text that went with it. 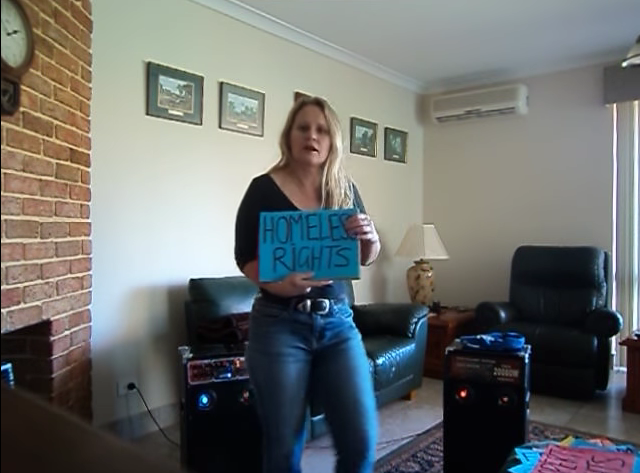 It was instead published on YouTube by Teresa van Lieshout, a serial political candidate who once announced she was running for a West Australian election by uploading a video in which she danced around her living room to AC/DC’s “Thunderstruck”, and held up signs with her electoral priorities written on them. Van Lieshout, who describes herself as a “Christian teacher/writer/political candidate” was briefly endorsed by the Palmer United Party, and in 2015 was subject to an arrest warrant for defying a court order. She most recently ran as an independent in the Batman by-election. Bottrill has previously successfully sued Michael Borusiewicz for publishing defamatory material with similar imputations, but had claims against van Lieshout and two others dismissed in the same lawsuit. He also won a claim for religious discrimination in the ACAT earlier this year. 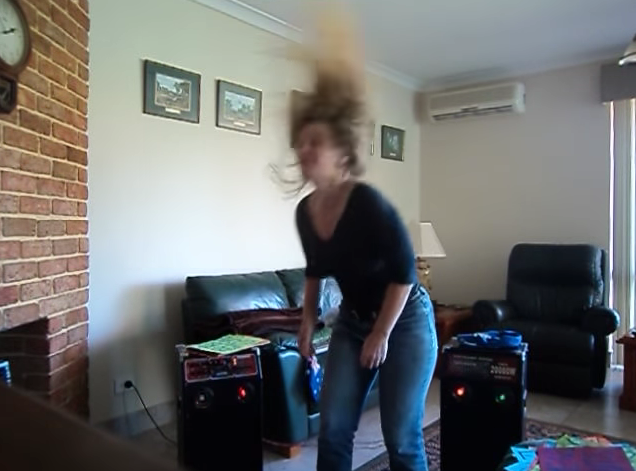 Teresa van Lieshout dances to announce her candidacy for the Canning by-election. Both Bottrill and Bailey were self-represented in the tribunal hearing in February. Tribunal member Louise Donohoe SC found Bailey was responsible for publication by omission – meaning that she had been informed that the video was defamatory but failed to take it down. Evidence tendered to the tribunal included screenshots of comments Bailey had made in Facebook groups including Pauline Hanson’s One Nation Supporters discussion page, and another called Pedohunters Anonymous Australia. Bailey attempted to submit as evidence documents containing 117 printed URLs, along with her own editorial comment on the content found at those web addresses – but Donohoe said it was inadmissible. Bailey was told she could download some of the documents found at the URLs and submit them as evidence instead, but she chose not to. Bailey put forward multiple defences for publishing the video – including justification, absolute privilege, reporting proceedings of public concern, honest opinion, and others – but they all failed. The evidence submitted by David Bottrill. Donohoe did not accept Bailey’s argument that there were many examples of similar material about Bottrill and about OTO on the internet. “A falsehood, no matter how many times it may be repeated, remains a falsehood,” she wrote. Donohoe said Bottrill had given evidence that he had tried to have the material removed but couldn’t, and the way it kept circulating on the internet with a “grapevine” effect kept the issue alive and “reinvigorated the hurt”. “Although he did not invite the Tribunal to do so, the Tribunal comfortably draws the inference from his evidence that the applicant finds himself in the difficult and analogous position of having to try to put out multiple brush fires and that, in this regard, he was fighting a losing battle,” Donohoe found. She said it had been “extremely distressing and hurtful” for Bottrill to have enquiries made about him to his workplace as a result of the defamatory post. Legal academic and defamation expert David Rolph told BuzzFeed News he expects an increase in defamation actions between two people who are not public figures or media outlets. “Because social media technologies have changed the way people communicate, it’s much easier for people to be publishers to the world at large, or at least a very broad audience,” he said. He added that the Bottrill case was interesting as it was litigated in the Civil and Administrative Tribunal, not the courts. “One of the most frequent criticisms of defamation is that it’s a rich man’s game, it’s difficult to bring proceedings if something bad is said about you in public,” he said. The ACAT has a cap of $25,000 on awards in civil disputes. April 24, 2018, at 3:47 p.m.
Bottrill had a claim against Teresa van Lieshout and two others dismissed in an earlier lawsuit. An earlier version of this article said that he had successfully sued her and others. This entry was posted in NEWS on May 8, 2018 by Garry Burns.